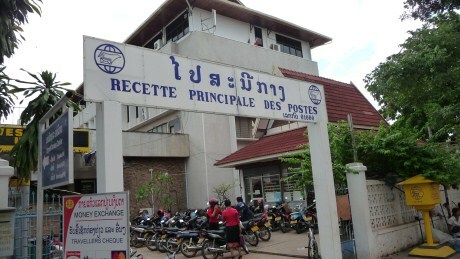 A few photos of the main post office in Vientiane, Laos. These photos were taken on May 26, 2010. 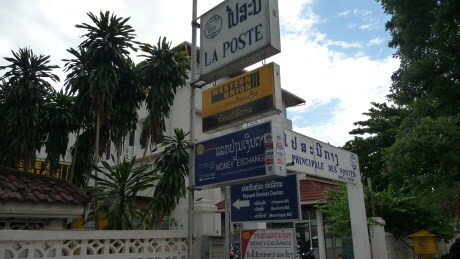 This post office is located opposite of the Morning Market or Talat Sao. The small building you see on the right is where you would want to visit as a collector. 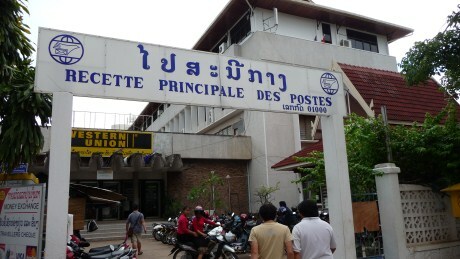 The center part of the building is where to send or receive mails. 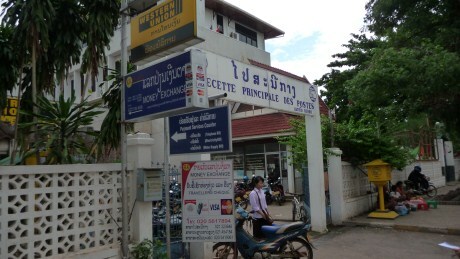 The express service is located to the left side of the building.